My sizes are based on width (not length). The number of characters and other factors will determine the length. Note that my medium-size is what my competition calls "large". Compare measurements carefully. My medium size is the most common wall scroll width in China, so it seems more honest to call this "medium". Add $17 to any of these for the large size, add $35 for the jumbo size, or subtract $2 for the small size. Portrait mounting (suitable for framing) is available for $20 less. I offer a lot of mounting options and sizes for custom calligraphy artwork. Most customers choose a medium-sized vertical wall scroll. It's not too big, easy-to-hang, and fits most budgets. 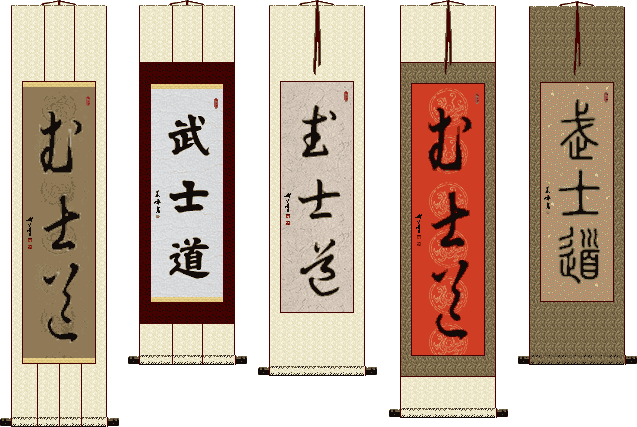 Please note that the Chinese economy calligrapher, Li Dan-Qing, does not write certain Japanese characters (Hiragana), does not write more than 20-character pieces, and does not do large or jumbo-sized work. 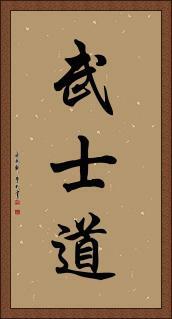 In some cases, you'll have to go with a master calligrapher - but the quality difference is worth it. Pricing may seem confusing when a large-size portrait is only $3 more. But in that case, it's $17 extra for the large size, but $20 less than wall scroll mounting. So the net is $3 more than a medium-sized wall scroll. Did you know? 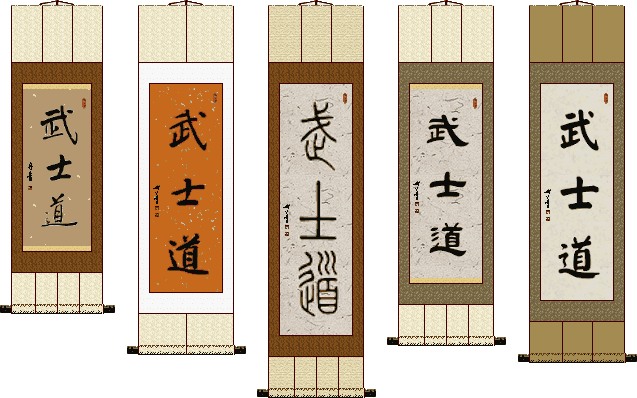 In ancient/traditional order, Chinese and Japanese is written from right-to-left (opposite of English) so this is the order used in the traditional art of calligraphy. 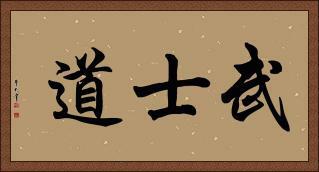 In modern times, you will find that Chinese and Japanese have been influenced by western languages, and thus written left-to-right on billboards and in magazines, but not calligraphy. Horizontal wall scrolls are a little harder to deal with. Two nails or hooks must be placed in your wall at just the right spacing. If the nails are too close together the scroll will droop. If too far apart, you either can't hang it, or might tear the scroll. We recommend horizontal wall scrolls only for customers with the patience to properly handle them. This large size can be tricky, it may droop when hung. This Jumbo size will droop at least slightly when hung. Don't forget that beyond the size, you can also choose a variety of customizations. You can choose to add an inner-frame of silk, fancy gold panels, and styling lines.